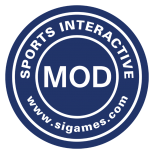 Welcome to the Sports Interactive Community forums. Home of Football Manager and Eastside Hockey Manager. If you're encountering a problem with any of our games please visit our FAQ Section for help. If you don't find the answer you're looking for, create a thread in our Football Manager Technical Help and Bugs Forum and a member of our support team will advise. This forum is for the discussion of Football Manager on PC/Mac and Linux. A forum for all users of Football Manager Touch across PC/Mac/Linux, Android/iOS and Nintendo Switch to come and discuss the game! This forum is for the discussion of Football Manager Mobile on Android and iDevices. Please post here for any issues, crashes, problems launching or bugs for Football Manager Mobile on any device. The place to raise any issues found with FMdB on Android and iOS. Having a crash or problems running any version of Football Manager prior to FM18? Please raise it here. Have an idea to improve a current or add an entirely new feature for a future version of Football Manager, Football Manager Touch or Football Manager Mobile? Suggest or discuss it here. A section filled with useful hints and tips on how to get the best of out your Football Manager team, be it tactically, with player development or with any other strategic discussion. Are you creating or looking for an unofficial transfer update, new league, custom league or expansion pack? Are you looking for an in game editor or scout? Do you need help with the official Football Manager Editor or do you simply have a question you're dying to ask? This is the forum for you! Do you have an interest in creating skins or customising your Football Manager experience? Have you made a skin that you want to share with the community? Do you have any ideas for the future of the graphical side of Football Manager? The Graphics and Skinning Hideout is your new home. This forum is for challenges, sign-ups and experiments. FM Online is to discuss and organise Football Manager network games in FMC, Versus and Full Mode. For Football Manager fans who wish to discuss the game in Simplified Chinese. Für Football Manager-Fans, die das Spiel auf Deutsch diskutieren möchten. Want to discuss Eastside Hockey Manager? This forum is the place to do it. Found a bug or are having an issue with Eastside Hockey Manager? Please raise it here where our support team will get back to you. Got a website, Twitch Stream or YouTube channel dedicated to Football Manager? Perhaps you need some help getting it up and running or gaining followers? This is the place for you to show off and promote your Football Manager webspace. 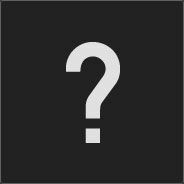 Use this forum to discuss topics that aren't connected to Sports Interactive, or our games. Complete drivel or abuse of the rules is not tolerated. Mods have the final say on what's allowed. Members who enter here do so at their own risk. And remember, Serpico will always be watching. A selection of some of the best threads ever! When signing up to our forums you agree to adhere to the forum House Rules and Guidelines. Please read about them in detail within this Read Only Forum. Archive of the various club/match threads that have been posted over the years.